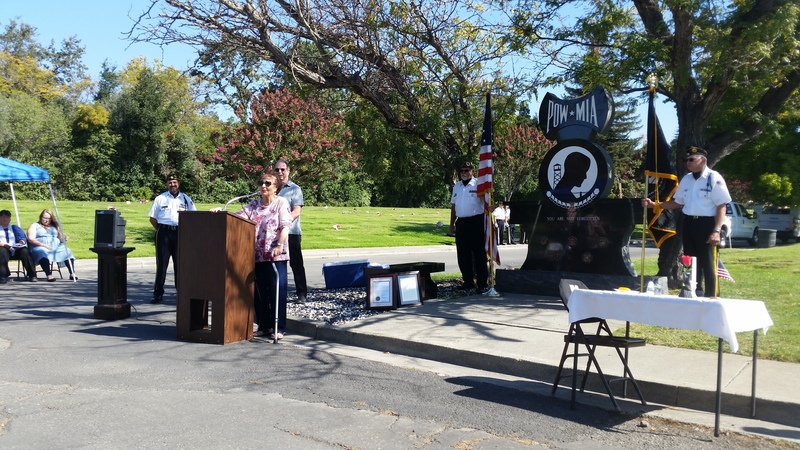 Friday September 16, 2016 – Jean-Marie and Michael were guest speakers at the National POW/MIA Recognition Day Observance, sponsored by the American Legion Sotoyome Post 111 and hosted by the Santa Rosa Memorial Park. 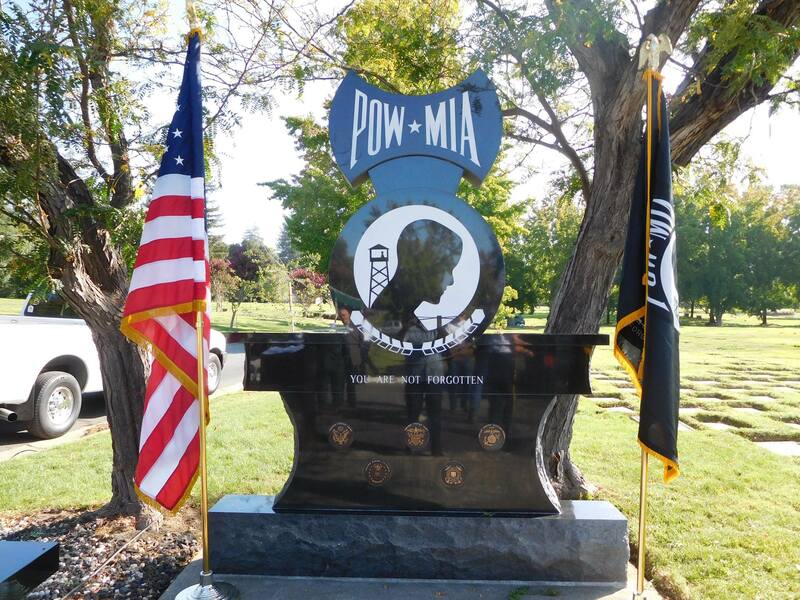 The ceremony began at 10 a.m. at the Veterans Lawn at 1900 Franklin Avenue, Santa Rosa, CA. The POW/MIA Memorial at the Santa Rosa Memorial Park. 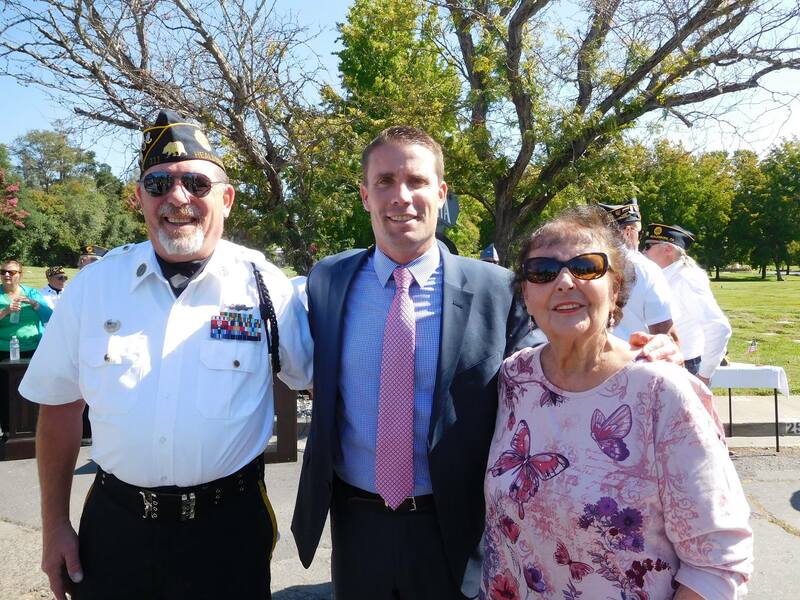 Michael and Jean-Marie with Harold Bagdonas of the American Legion Sotoyome Post 111 and chairman of Sonoma County’s National POW/MIA Recognition Day Observance. 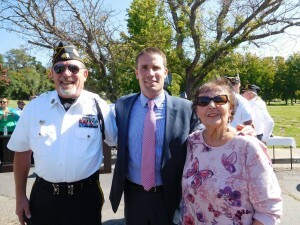 Jean-Marie with California State Senator Mike McGuire and an American Legion Post 111 member. 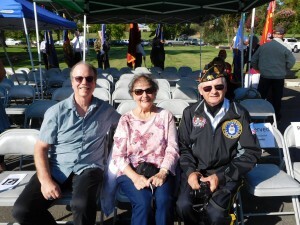 Jean-Marie with U.S. 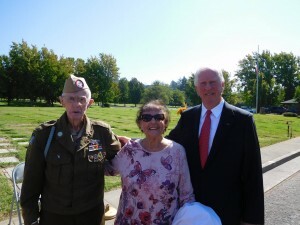 Congressman Mike Thompson and 91-year-old Don Clouston, a veteran of WWII who was a paratrooper during the D-Day invasion of Normandy.